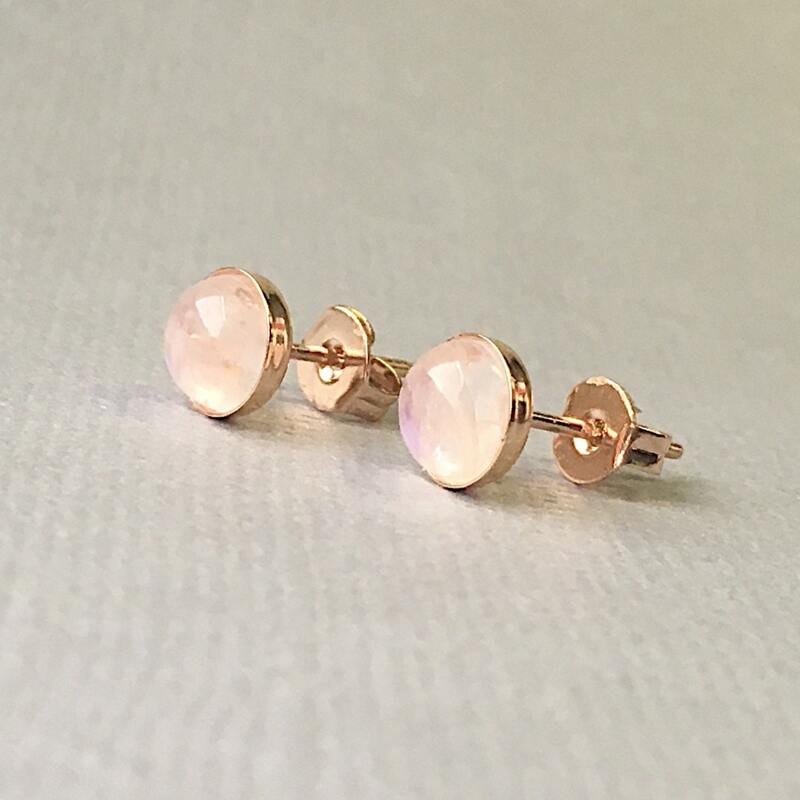 These gorgeous 6 mm stud earrings have been handmade using beautiful rainbow moonstone round cut set in round Rose Gold plated on sterling silver bezel posts made of .925 sterling silver. 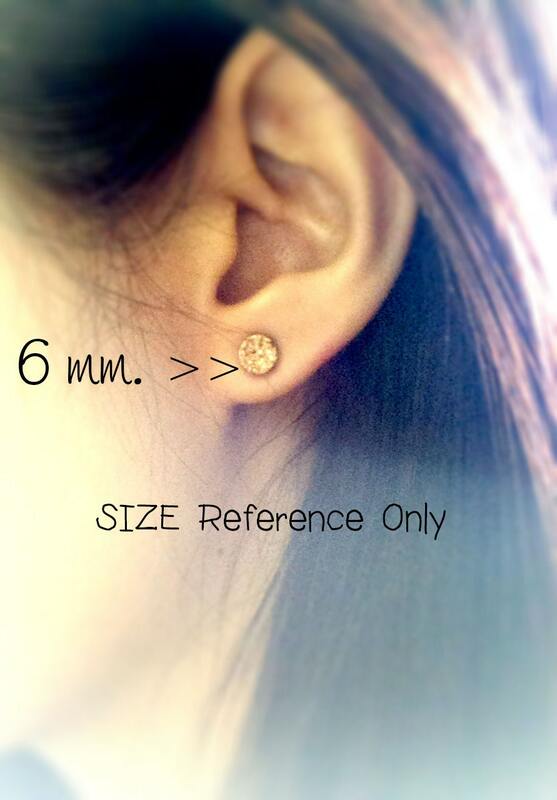 This is perfect size for everyday wear. 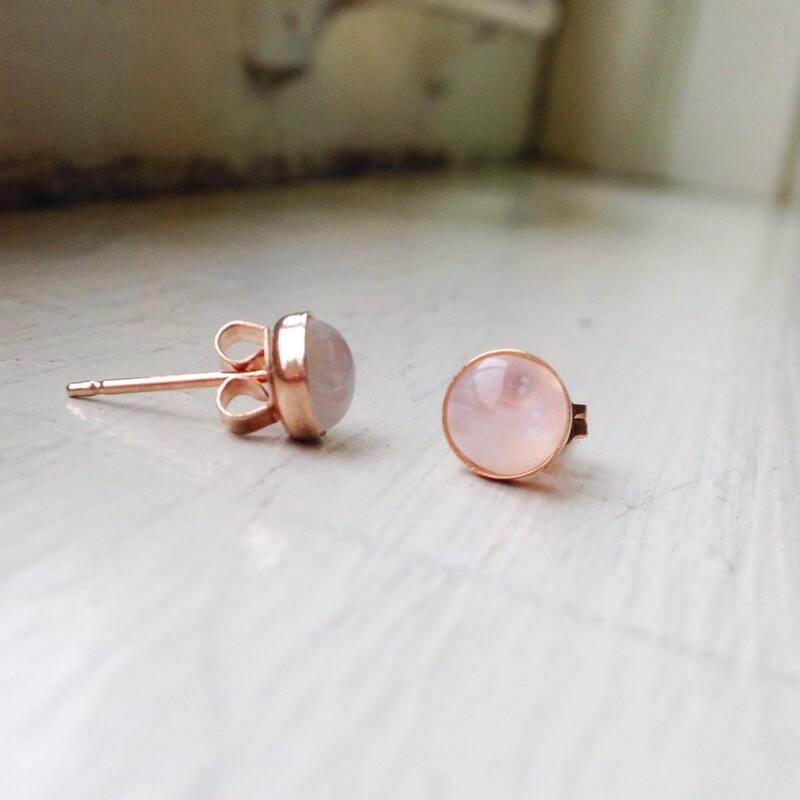 *Please note that since these are natural stones, each earring will be slightly different. No two stones are exactly the same. 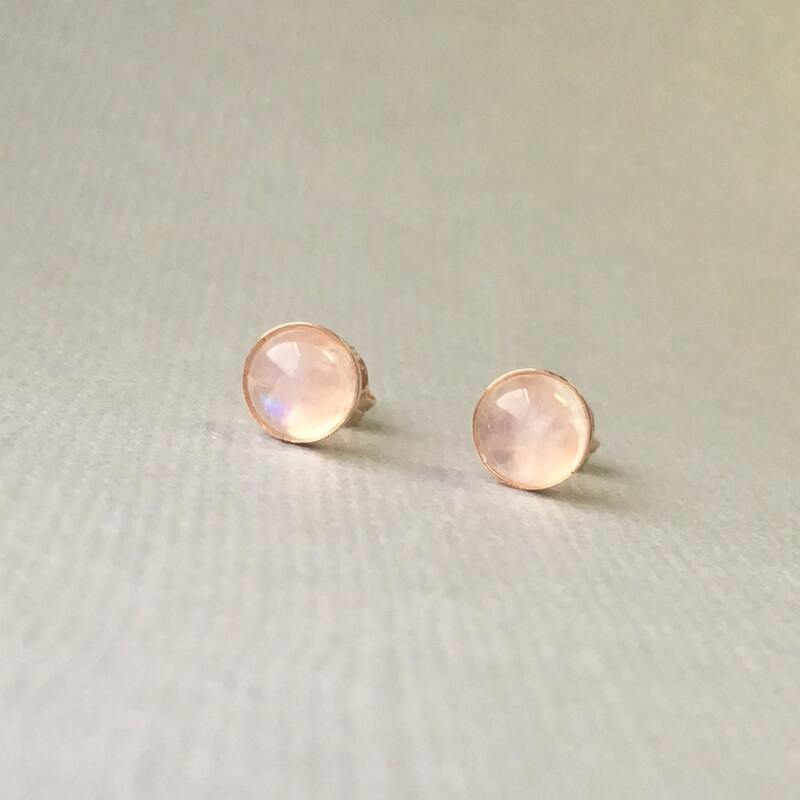 ➵ Sterling Silver bezel setting earring posts - the earring backs are brass plated. Also available in Yellow Gold plated on Sterling Silver. ➵ Handmade with lots of ♥ and Positive Energy in the USA. - Each piece of my *gemstone* jewelry has been cleansed using ancient techniques and energized to amplify the power and healing properties of the stones. ➵All my jewelry arrives in a pretty little jewelry box, ready for gift giving or treasuring for yourself. 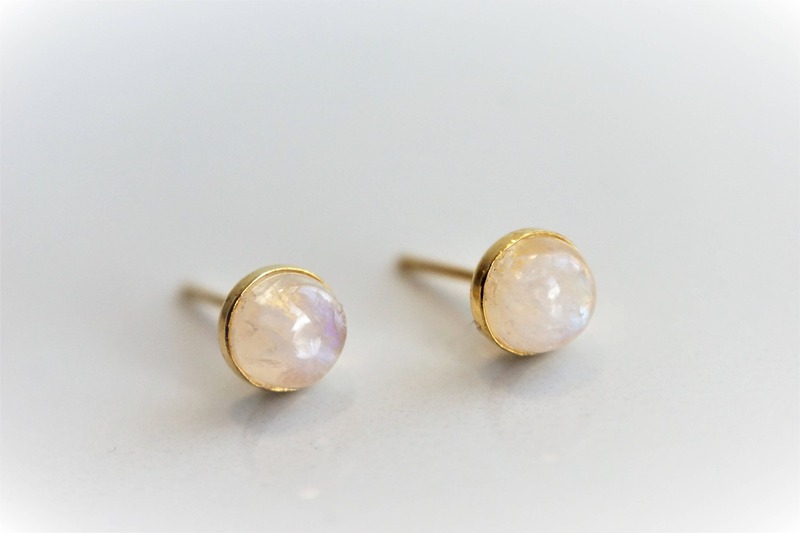 ♥Moonstone is a "stone of new beginnings." As its name suggests, it is strongly connected to moon and to the intuition. Like the moon, the stone is reflective and reminds us that, as the moon waxes and wanes, so everything is part of a cycle of change. Its most powerful effect is that of calming the emotions. 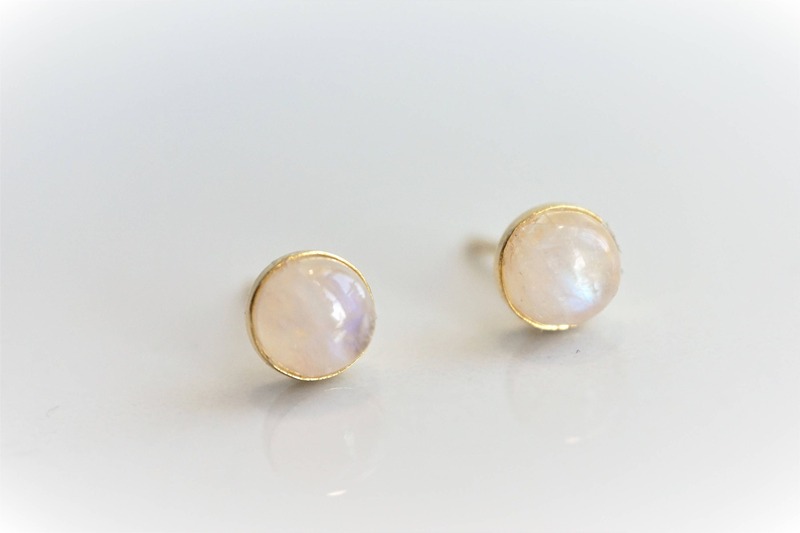 ♥Moonstone makes conscious the unconscious and promotes intuition and empathy. It encourages lucid dreaming, especially at the time of the full moon. 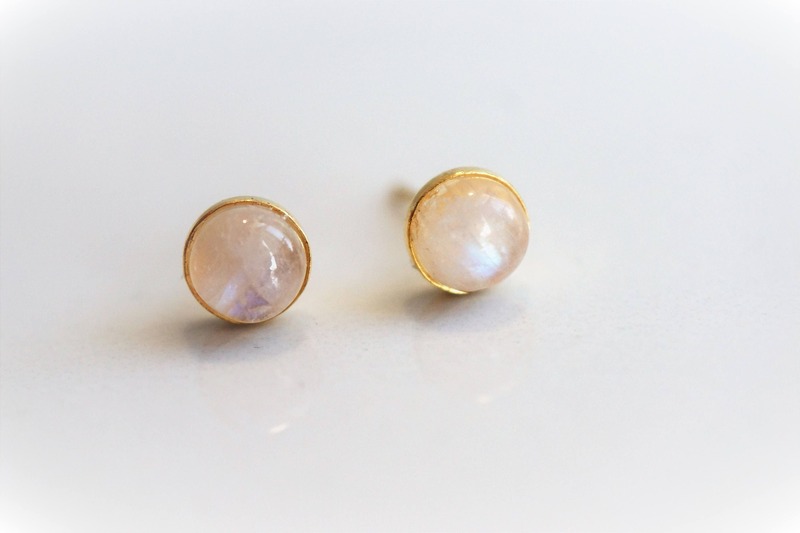 ♥Moonstone has traditionally been used to enhance psychic abilities and to develop clairvoyance*. It can be worn as a pendant to encourage acceptance of your psychic gifts. ♥Psychologically♥, Moonstone calms overreactions to situations and to emotional triggers. Moonstone is filled with receptive, passive, feminine energy. It balances male—female energies and aids men who want to get in touch with their feminine side. It is the perfect antidote for the excessively macho man or overly aggressive female. ♥Mentally♥, Moonstone opens the mind to sudden and irrational impulses, serendipity, and synchronicity. Care has to be taken that it does not induce illusions in response to wishful thinking. ♥Emotionally♥, Moonstone soothes emotional instability and stress, and stabilizes the emotions. It improves emotional intelligence. Placed on the solar plexus, it draws out old emotional patterning so that it can be understood and then dissolved. Moonstone provides deep emotional healing and heals disorders of the upper digestive tract that are related to emotional stress. 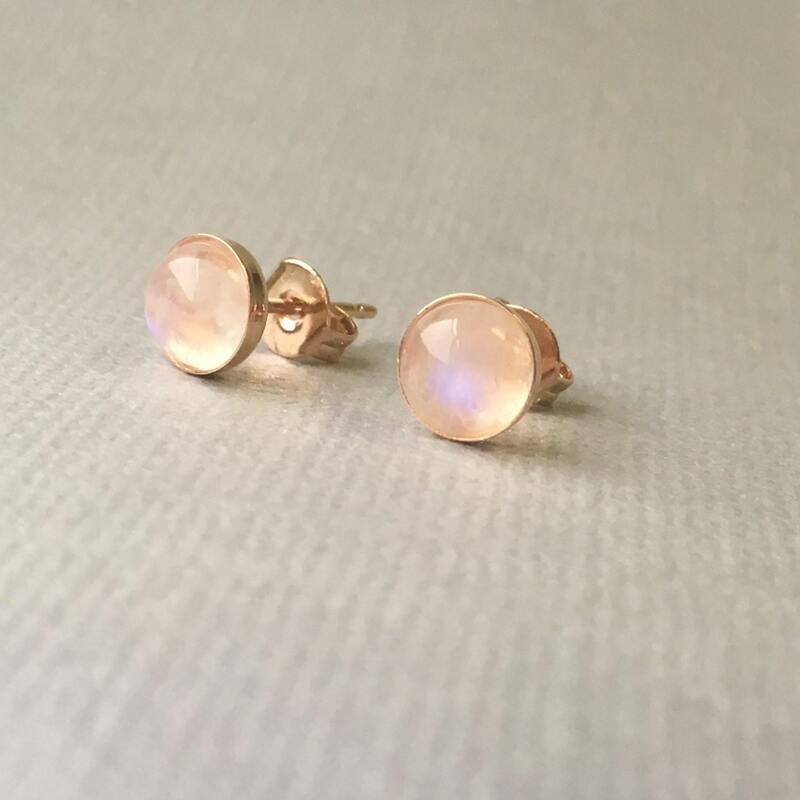 ♥Physically♥, Moonstone powerfully affects the female reproductive cycle and alleviates menstrual-related dis-ease* and tension. It is linked to the pineal gland and balances the hormonal system, stabilizes fluid imbalances, and attunes to the biorhythmic clock. It is helpful in cases of shock and can be used to calm hyperactive children.